Used golf cart parts can work as well as new parts. 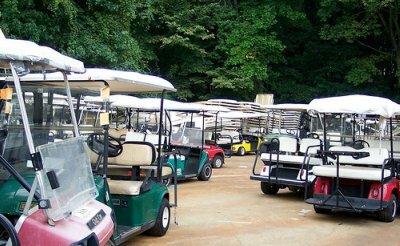 Used parts are readily available at many of our local golf cart dealers. You can also find them from private individuals. Many parts on my 1987 electric Club Car golfcart were purchased used. 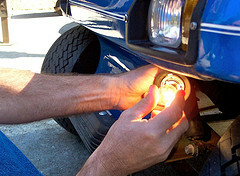 Find out how this can save you money on the part and on shipping. There are several ways to find used parts for your golf cart. One is to check with any local golf cart dealers who have an inventory of golf cart salvage. Don't be afraid to ask your local golf cart dealer if they have any good used golf cart parts for sale. I've found used golf cart tops, tires and another parts just by making a few phone calls. 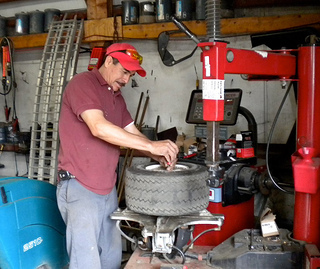 When I needed just one tire to replace my worn golf cart tire, I headed to Affordable Golf Carts in Peachtree City and asked if they had any good, used golf cart tires for sale. After some digging a couple of tires were found that still had some good tread on them. A used wheel was put on and I had myself a good used golf cart tire and saved about half of what a new tire would have cost. The biggest savings in buying used is for larger or heavier parts - like tops, tires, chargers, etc. To buy these golf cart parts on line becomes too expensive because of the shipping charges. If you don't see the golf cart part you are looking for try posting in the "Wanted" section of Craig's List. It's free and it's worked well for me. 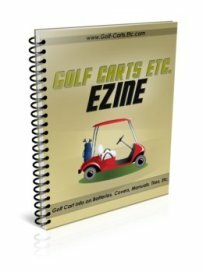 I've purchased used Club car parts, golf cart manuals, golf cart tops and golf cart wheels and tires by posting "Wanted" ads. Now, you don't want to be driving all over town to save a couple of bucks, but you may luck out and find the part you need from a seller who lives in your area. Another place to check is on e-bay. My golf cart headlight kit was purchased on e-Bay and cost much less than it would have otherwise. Enter "used golf cart parts" in the search field. You will then have two options of "Buy Now" or "Auction." If you are not in a hurry you can bid on the part and usually get a better price than the Buy Now option. Be sure to check out the shipping costs - but many of the parts sellers offer free shipping. Having owned the same Club Car golf cart for 20 years, I've had to replace quite a few parts. Buying used Club car parts has worked for me many times.